As a REALTOR®, how does your billboard, radio or TV ad, bus bench, or practically any other form of advertising, actually benefit your client? Even Facebook ads and print media ads that feature specific properties, are not really meant to sell those properties. We ALL know these ads are all about lead generation. Not that there's anything wrong with that! Truthfully, how many times in the history of the world has a property sold as a direct result of someone stumbling across a Facebook ad? I’m not saying you shouldn’t advertise on Facebook. You should! Just do it for the right reasons, and don’t try to tell the public you're doing it for them. The absolute worst form of misleading advertising in our industry—in my opinion—are the various programs offering a "guarantee" on the sale of your property. 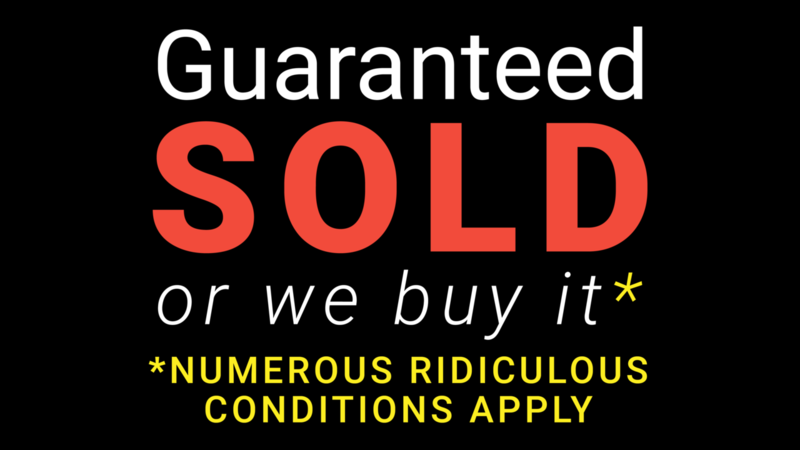 Virtually everyone in the industry knows very well that the "guarantee" (eye-roll) is advertised with its main purpose being to get in front of potential sellers, and then convince them that they don’t really need it. “Oh, sorry, your home doesn’t qualify, due to the lengthy list of ridiculous conditions in our "guarantee"! Darn! But, hey, we'll get it sold anyway! Please sign here on the dotted line." We ALL know that even if the home does qualify for the program, the “guaranteed” price after commissions is typically so low, that hardly anyone in their right mind would ever agree to the terms. We ALL know this program reeks of "bait and switch" tactics, but they dodge around that because technically it is a legitimate and legally-binding program. I say it's an embarrassment to the entire industry, and it should be abolished. Spending the most money on marketing with Bogus Spin (BS) does not necessarily translate into being a great REALTOR®. Sometimes, the most highly-skilled REALTORS® who work the hardest and smartest to deliver real results for their clients, hardly advertise at all. That's because the majority of their business comes through referrals and repeat business from happy past clients. "We help good REALTORS® become great REALTORS®"